NOTE: This content is old - Published: Friday, Apr 13th, 2018. 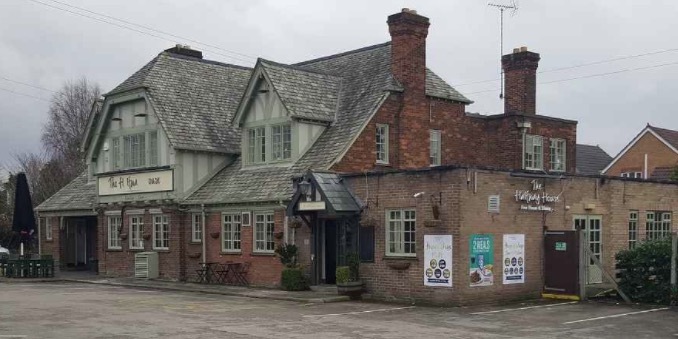 The Halfway house pub in Connah’s Quay has been put on the market, with an asking price of £600,000. The Church Street pub is currently owned by Milton Pubs and Taverns, a company formed by investment firm Aprirose who acquired it along with 72 other sites from Mitchells & Butlers. Described as a “Community local & foodhouse” it is being marketed by licensed property experts Fleurets. The pub which comes with all fixtures and fittings is split into a public bar area with fixed upholstered seating, timber tables and chairs. A central bar area with timber flooring, high bar stools and ‘posing’ tables, pew style fixed seating and a pool and darts area, the lounge area features two fireplaces and diner style bays of fixed seating. There’s a commercial kitchen fully loaded with a range of stainless steel catering equipment, pot wash and prep area’s and walk in refrigeration and freezer. The two storey detached pub also comes with domestic living accommodation, outside there are 35 car parking spaces, a beer patio and garden, timber picnic tables and a kids play area. The property which is being sold as a freehold has a current rateable value is £42,500. In terms of reviews, the pub is currently placed fourth out of six for pubs in Connah’s Quay on the hospitality industry ‘nemesis’ Tripadvisor, it’s also ranked 22 out of 29 in the restaurants category for the area. Nearly 40% – which is a majority of the 69 reviews submitted by the public to Tripadvisor for the Halfway House have rated it ‘terrible’, closely followed by 31% of reviewers who ranked it excellent. Food and service appear to be the underlying issues and presents an opportunity for any new owners to improve its reputation and consistency amongst locals. For those interested – more information is available on the Fleurets website but you will have to go through a particularly intrusive sign up process. Photo courtesy of Fleurets website.